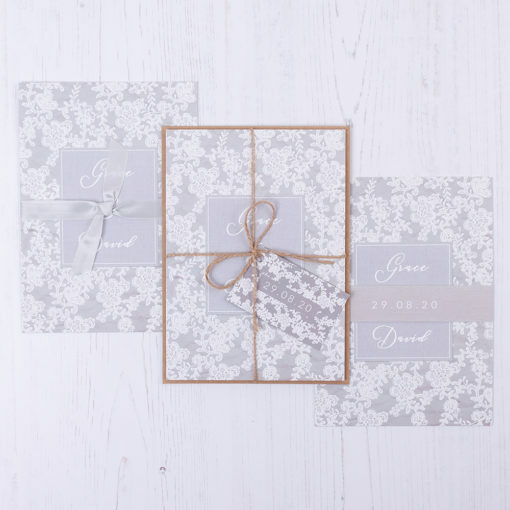 Wedding invitation sample pack including an RSVP, info card, envelopes and label with your choice of finishing option in the Floraison Lace Collection design. The delicate detail of nature when left to wander and roam in the wild. 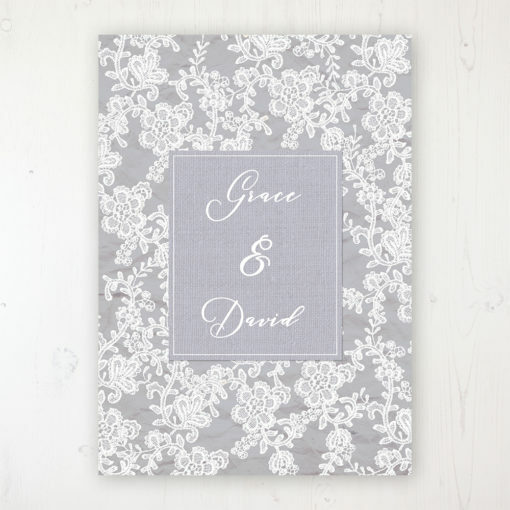 Trailing, rambling and unfurling on a journey of its own and becoming a tangled lacework of intricate beauty. 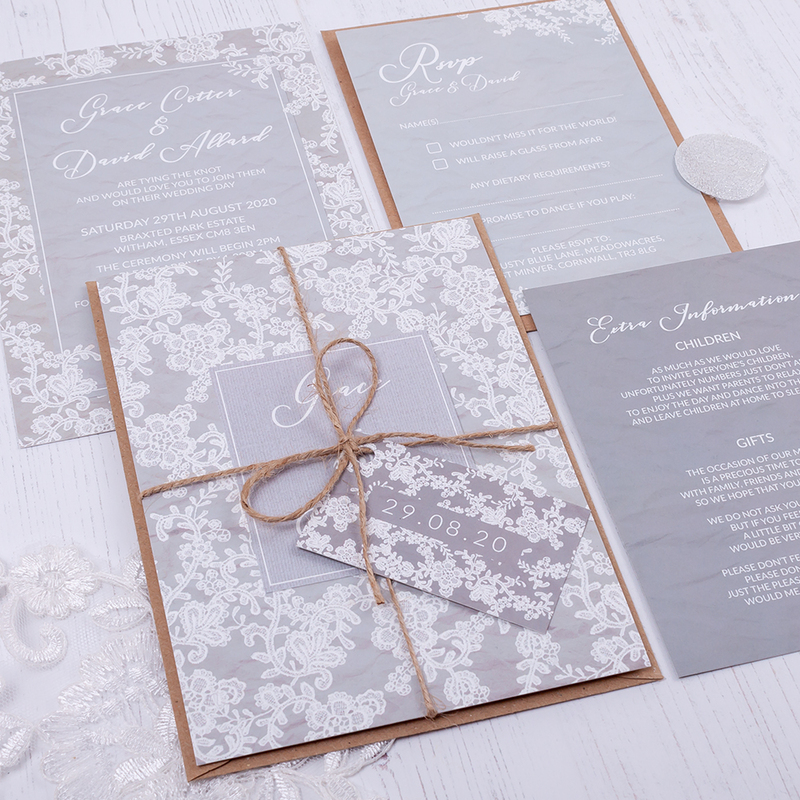 The design is suited to classy weddings with a soft and muted theme in tones of grey, silver and dusty blue.